As someone who finds snowy weddings completely enchanting but is always cold, I wanted to take a peek at some ideas for a cozy glam winter wedding day! 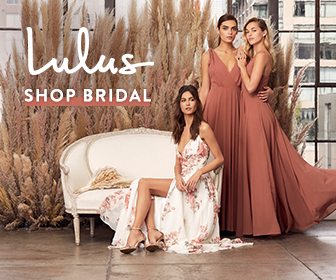 Windchill factors and falling snow are hardly reasons you can’t look your best, so cuddle up with these magical wedding day looks that are as warm as they are romantic! Photography by JOPHOTO – SEE MORE OF THEIR WORK! A fuzzy wrap is the perfect way to combat chill while ensuring that your dress can stand alone for a fireside ceremony or once the dance party gets going. Indulge in the texture of a faux fur shrug or incorporate a vintage wrap as your ‘something old’ – although braving the chill does make for an incredible shot in the snow! It might be my Irish heritage, but I’m a complete sucker for cable knit! 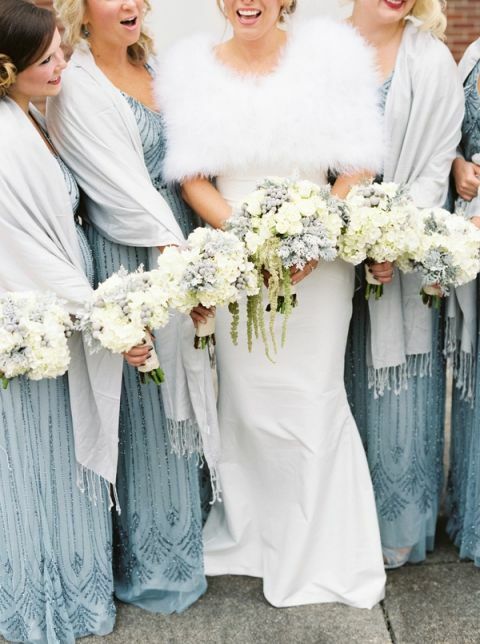 Adding a chunky knit scarf or a woven sweater to your bridal attire is an adorably chic way to bundle up against the cold. Pair a classic floor-length coat with a woven scarf for the perfect cover up, or opt for a cozy all day look that balances cozy fabrics with ethereal style by working a sweater over a full tulle skirt! Bundle up – solo or with your honey – in a cozy blanket for a dramatic snowy shot! Whether you’re channeling the Snow Queen with a faux fur throw or getting close to your fiancé under a patterned blanket, this option could not be more cuddly or romantic! Opt for long lace sleeves with your gown for a classic winter style – a little known fact of bridal styles is how easy it is to customize a gown with sleeves or a bolero for a full-coverage look! 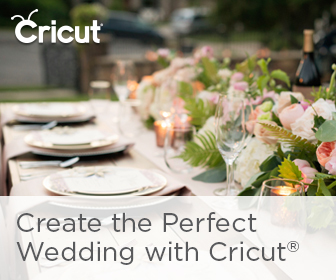 Work with the designer or even a skilled tailor to personalize your gown with fitted lace sleeves for a princess-worthy wedding look. If layering is more your style, a cardigan is the perfect way to go! Tossing on a cozy cover up is the best way to turn any wedding dress into winter attire – whether it’s a festive holiday print or a glittering sequin jacket, it’s the perfect way to stay warm and stylish! 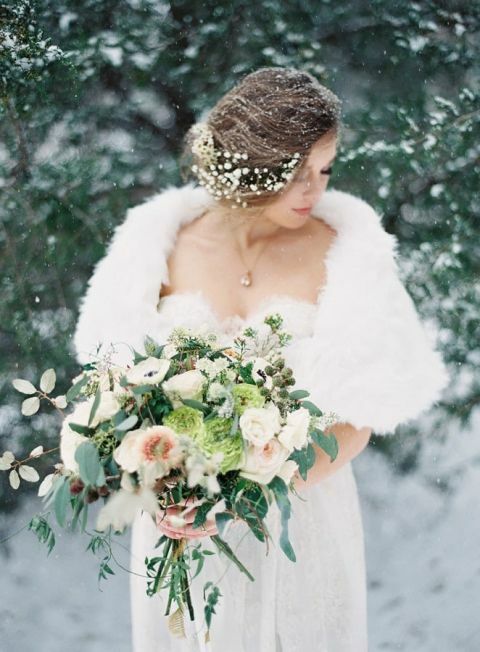 Bundle up and stay fabulous with these ideas for a cozy glam winter wedding!